Employers in Rhode Island must be able to navigate through a myriad of leave laws, both paid and unpaid. Rhode Island has three main leaves that provide a form of paid sick leave. 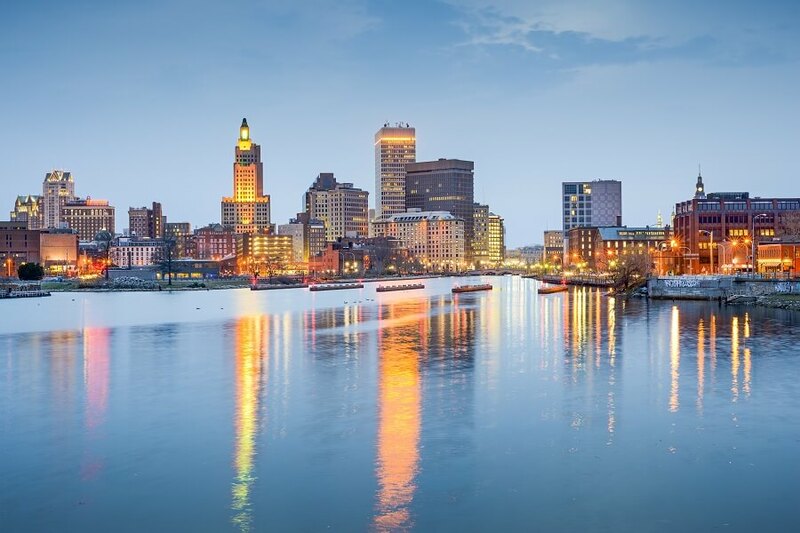 Although Rhode Island doesn’t have a mandatory sick leave law, the Temporary Disability Insurance (TDI) program offers paid leave when employees miss at least 7 days of work or more due to illness or injury. TDI was expanded in 2013 to include the Temporary Caregiver Insurance (TCI) Program, which provides a way for employees to take paid time off to care for family members or to spend bonding time with a new child. In addition to TDI and TCI, Rhode Island also provides a parental and family leave. It is vital for employers to understand the aspects of these state laws and how they correspond with the Federal FMLA. Rhode Island’s Temporary Disability Insurance was the first temporary disability program in the United States and was enacted in 1942. The Temporary Disability Insurance Program applies to all employers. TDI provides income to employees who are unable to work due to a non-work related illness or injury. Temporary Disability Insurance provides benefits of up to 30 weeks of paid leave and covers employees of any company size. TDI covers any short term disability, including disability due to pregnancy complications. Workers who have to miss at least 7 consecutive days of work due to illness or injury can file a Temporary Disability Insurance claim. In order to qualify for TDI, employees must have earned one of two base incomes during a qualifying period and must have paid into the state’s TDI fund. Employees must have earned at least $11,520 during their base or alternative base periods. The base period is the the first 4 of the previous 5 quarters before the employee files a claim. The alternative base period is the previous 4 quarters before filing a claim. The quarters are based on a calendar year. In other words, if an employee files a claim in June 2017, the base period would be January-December 2016. Their alternative base period would be April 2017-March 2016. The alternative base period allows the employee’s most recent earnings to count toward eligibility. Mothers who use TDI for pregnancy related disability or to recover from childbirth can also take advantage of the TCI to bond with the new child. Temporary Caregivers Insurance provides a way for both men and women to spend time bonding or helping family members. The Temporary Disability Insurance program applied to employees who are unable to work due to a serious injury or illness, the program was expanded to include caregiver coverage. Now employees can also take off paid time to care for an eligible family member or to bond with a new child. Rhode Island’s Temporary Caregiver Insurance Program (TCI) was passed in 2013 and took effect on January 1, 2013. TCI expands the TDI program to offer up to four (4) weeks of paid benefits for parents or caregivers who must take off time from work to care for a seriously ill child, spouse, domestic partner, parent parent in law, grandparent, or to bond with a new child through birth adoption or foster placement. TCI applies to both men and women and provides benefits. In order to qualify as a serious illness, the mental or physical injury or illness must require in patient care at a hospital, hospice, residential health care facility, or continuous treatment by a health care provider. Additionally, in the case of a new childbirth, and a foster or adoption placement, TCI is also available for bonding time with the new child. Minimum benefit is $89 and max benefit is $817. The benefit amount is based on the the employees highest paid quarter in the previous 12 months before the TDI or TCI is taken. Weekly benefits are 4.62% of the quarterly wages. Rhode Island’s Temporary Caregiver Insurance provides benefits for the following family members; children, parents, spouses or domestic partners, and grandparents. The state recognizes many specific types of relationships for each of those allowed relationships. Child relationships include biological, adopted, foster, stepchildren, legal wards, and children of domestic partners. Employees who stand in loco parentis to a child can also take time off for that child. It’s important to note that Rhode Island defines “loco parentis” as a daily responsibilities to care for a child and to financially support the child. A legal or biological relationship is not required by law. Parental relationship include biological, foster, adopted, stepparent, legal guardian, parent in law, or someone who stood in loco parentis for the employee or the employee’s domestic partner when they were a child. Spouses, domestic partners, and civil union partners all qualify as allowed relationships under the Temporary Caregiver Insurance Program. Grandparents of the employee are recognized, but grandparents of an employee’s partner or spouse are not allowed relationships. Child: biological, foster, adopted, stepchild, legal ward, child of a domestic partner, child for whom the employee stands as a in loco parentis for the child. Parents: biological, adopted, foster, stepparents legal guardians, parent in law, and in loco parentis parents. Employees who take TCI are entitled to their same job or a similar job position when they return to work . Additionally, employees are able to maintain their full benefits during the time of the leave. This includes healthcare benefits. The employer can require the employee to continue to pay their portion of the benefits premiums before taking leave. If the employee does not pay their portion of the benefits premiums, then the employer is not required to continue benefits for the employee. When the employee takes time off for bonding, the employee must submit proof of placement or birth of the child into the employee’s home. When applicable, Temporary Caregiver Insurance Leave is to be taken in accordance with FMLA and the State’s Parental Family Medical Leave. Thus, employees who qualify for all three leaves will take TCI concurrently with FMLA and Rhode Island’s Parental Family Medical Leave. Employees of smaller companies, those with less than 50 employees may qualify for TCI, but not qualify for FMLA. In addition, there are cases in which an employee would qualify for TCI, but would not qualify for FMLA. This means that an employer may find themselves providing both types of leave for an employee, sometimes within the same year. For example. FMLA requires that employees be employed for 12 months previous to taking FMLA. However, TCI allows new employees to use benefits. Therefore, an employee who was with an employer for 10 months would be able to take TCI benefits, but FMLA would not run concurrently with the TCI benefits. That employee could then take FMLA leave 2 months later when they qualified for FMLA. Another key difference is that while FMLA allows employers to request documentation that FMLA leave is taken in accordance with the law, neither TCI or TDI have this provision. Employers must rely solely on the State of Rhode Island’s approval of the employees benefits. Another difference is that TCI will provide paid leave for more family relationships than both FMLA and the Rhode Island Parental and Family Medical leave provides. If an employee takes leave to care for their parent-in-law, domestic or civil partner, grandparent or grandchild, that leave would not count toward FMLA leave. Additionally the State’s family leave allows for parent in laws, but not for domestic or civil union partners, grandchildren or grandparents. Businesses who have employees in Rhode Island have to comply with State Laws defining the paid and unpaid leave rights of employees. Additionally, these businesses have to also comply with Federal Overtime Laws, the Family Leave Medical Act and any other national or local laws that are enacted. Records are effortlessly kept for years and accrual is automatically tracked and reported to employees according the state and city laws. Additionally, with geo-timekeeping clocks, businesses can effortlessly track time worked in specific cities to ensure compliance. Written by Annemaria Duran. Last updated May 24, 2017.